Want to Save Water This Summer? Even with the cold weather we’ve been experiencing, we all know that the hot temperatures of summer will be here before we know it. Now is the time to get into a good watering habits and also get to know your city’s water restriction guidelines. With proper planning and the right watering methods, you can keep your lawn and landscape healthy even during the heat. A healthy lawn and landscape always starts with the soil. Want your soil to naturally retain more moisture? Then you’ll definitely want to feed your soil and maintain your landscape organically. It saves water and at the same time creates a healthier landscape. Regular applications of chemical fertilizers and pesticides do a lot of damage to your soil. They can damage and kill the very microbial life that plants depend on for a healthy soil structure and production of valuable nutrients. Because you degrade the quality of your soil with these chemical products and your soil is less able to sustain healthy plant life, you then create a dependancy on the chemicals. That means you’ll need to use more water to sustain your landscape. Use of chemical fertilizers and pesticides don’t help us conserve valuable healthy topsoil or a healthy water system. If you are a customer of our Soil Building Program, your soil is being conditioned to retain water more consistently throughout the year. Liquid Compost Extract, an important component of this popular program, encourages healthy microbial activity, breaks apart our tough clay soil and helps to retain moisture. Homeowners often make the mistake of thinking that more frequent watering will benefit their lawn and landscape. However, deep, infrequent watering is the best type of watering for established landscapes. Watering often, but for short periods of time, will result in shallow, weak root systems. These weak root systems have a much tougher time supporting your grass and plants during times of hot temperatures and drought. A deep watering once per week is sufficient for established lawns and landscapes.You can always supplement your sprinkler watering with hand watering or soaker hoses for new plants, veggies and container gardens. When it comes to lawns, watering too frequently will also encourage fungal diseases. Lawns under stress from disease become more susceptible to insect damage. If you live in Dallas, you may water your landscape with your automated sprinkler system twice per week. You may hand water in your landscape or trees any day of the week. Irrigation system leaks are a big water waster. 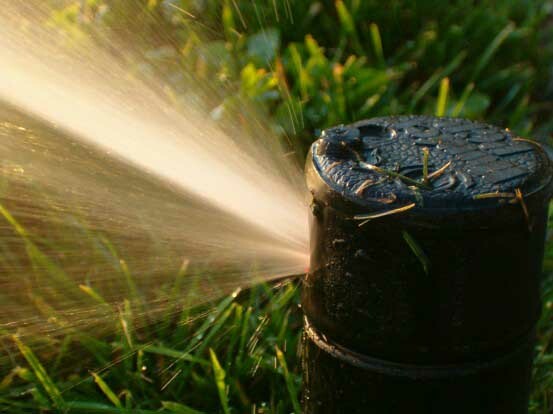 Did you know that the City of Dallas does FREE Irrigation System Check-Ups? It’s a good idea to have your system inspected so you can save water. If you live in Frisco, Plano, Richardson, Wylie, Allen, Garland, Mesquite, Rockwall, Rowlett, Prosper, Fairview or Bonham you are most likely in Winter Stage 3 water restrictions. Under Stage 3, you are permitted to water one day every other week. You might think it’s impossible to maintain a healthy landscape when you can only water twice per month. However, these restrictions apply only to your automated sprinkler system. A good soaking twice per month with your sprinkler system, plus some supplemental hand or drip watering are sufficient to keep your landscape healthy, if your soil is healthy. Under Stage 3, you may water your foundations, landscaping, lawns and trees for up to two hours on any day by a hand-held hose or soaker hoses. Also, low-drip irrigation systems are not subject to these watering restrictions. For more questions about how the health of your soil helps to conserve water, contact us through our website. You can also join the conversation on Twitter (@soilsalive) or Facebook.